Parmesan-Crusted Tilapia | Mommy, I'm Hungy!! I had never eaten Tilapia, much less cooked it until a couple of months ago. I came across a recipe on Pinterest, which has become my newest addiction, and thought I would try it. It was absolutely amazing. So I made it again tonight. I love this because it is one of Rachel Ray’s recipes and is so quick and easy and it only uses 5 ingredients, which other than the tilapia, most people have on hand. Preheat the oven to 400°. In a shallow dish, combine the cheese with the paprika and parsley and season with salt and pepper. Drizzle the fish with olive oil and dredge in the cheese mixture. Place on a foil-lined baking sheet and bake until the fish is opaque in the thickest part, 10 to 12 minutes. Serve the fish with the lemon wedges. 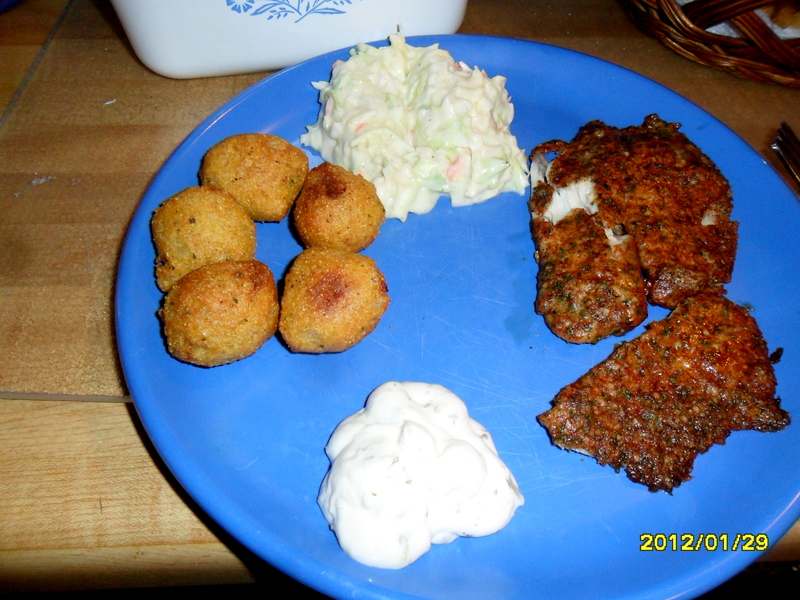 This was so yummy and even Cheyenne, who can be pretty picky when it comes to new foods, said “Momma, you make good fish! Yummy in my tummy! Deeeeeelicious! !” Then again after she finished eating, she came over to me and gave me a huge hug and said “That was so good Momma!” She ate every bite of her fish and even ate the extra half that was left. Talk about making you feel good…it made me feel so good that she finally really liked something I fixed. 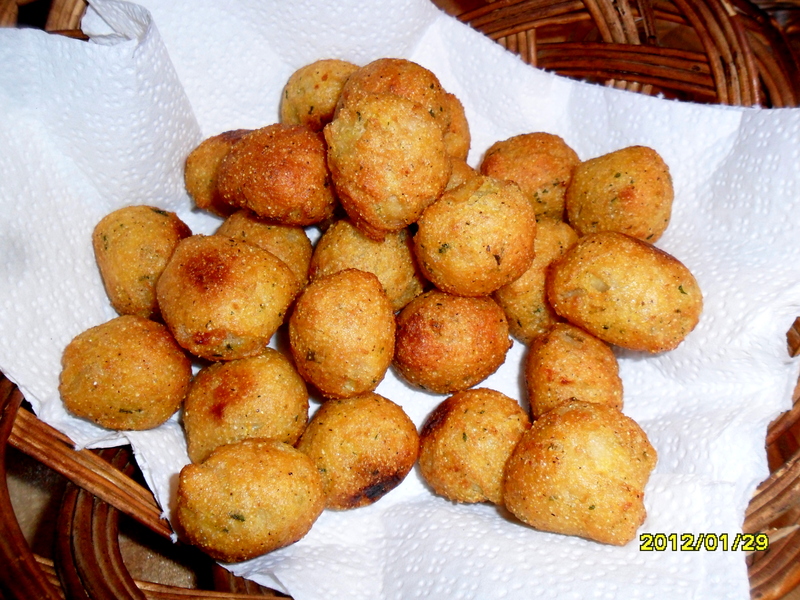 I also got some frozen hushpuppies from the store and baked those to go with the fish. I hope you give this a try as it is quick, easy and delicious!! Let me know if you try it! I love comments!